Today I decided to take my new watercolor marker out for a spin. It wrote like a charm. It has two points you know, a marker tip and a brush tip. 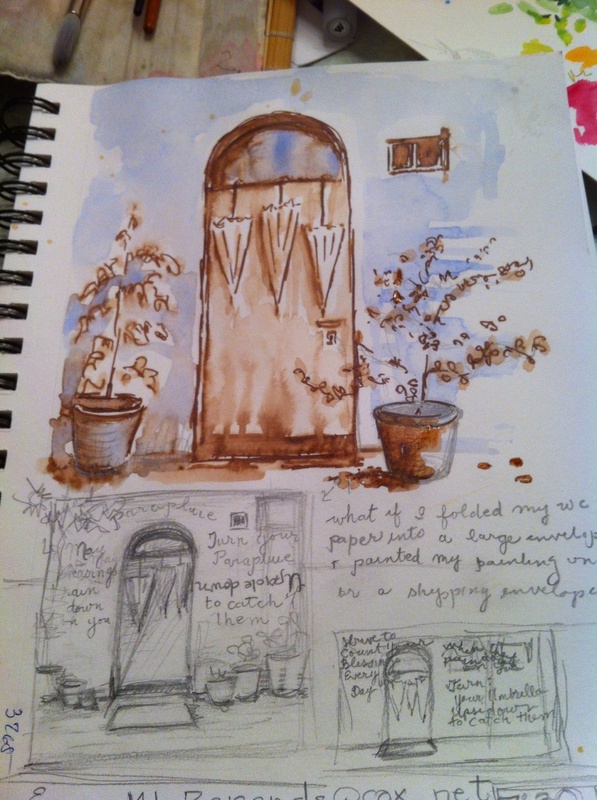 After you draw you just brush water on your marker line and push around the puddles of water combined with the ink. I added some cobalt blue paint so the burnt umber marker would have a friend. I always like the combination of blue and brown together. i ordered this marker from Cheapjoes.com when he offered free shipping. I used willpower when ordering and only bought one color. I wanted to try it out and see how I liked this new marker before I invested in too many colors. This marker does a great job and I definately think it will be better for traveling then my watercolor pencils because I think its more versatile. Now I have to decide what additional colors I "need". What colors would you buy?